Hosts of Double Tap Canada | Accessible Media Inc.
Join hosts Steven Scott and Shaun Preece as they discuss news, reviews and technology stories of interest to people who are blind or partially sighted, Thursdays at 8 p.m. Eastern. Steven Scott is a radio broadcaster with over twenty years of experience. Steven’s sight condition has meant that he has had to learn and adapt to new technologies throughout his lifetime, and as a bit of geeky guy he loves nothing more than telling everyone about the latest gadgets he’s found. It therefore seems perfect that he now hosts Double Tap Canada, the technology show for blind and partially sighted people, exclusively on AMI-Audio. 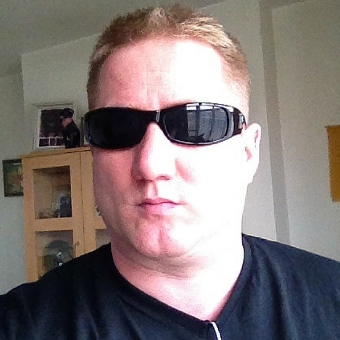 Shaun Preece is an audio producer from Manchester who has a real passion for technology. Despite being born with a visual impairment, Shaun’s sight has worsened over the years and as such he has depended more on assistive technology. 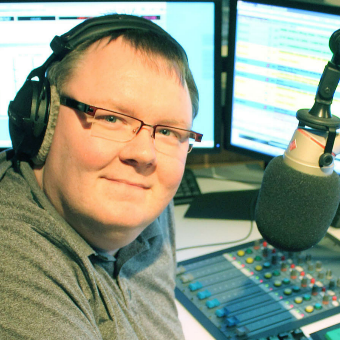 Shaun and Steven met as they began co-hosting the popular UK tech show Tech Talk on RNIB Connect Radio.